After a diamond aluminum Corundums are the most hard jewels (hardness stone of Mohs 9). It is almost eternal stone. From the chemical point of view of Corundum is an ordinary oxide of aluminum of Al2O3 (no carbonado diamonds). Clean aluminum Corundum is colourless chemically. Different colors give it the admixtures of chrome, ferrous iron, vanadium and other chemical elements and compounds. There are aluminum Corundums with the effect of stellate (asterism). The most obtained corundums are used for industrial and technical needs. Unjeweller aluminum Corundums since olden times known as abrasive materials. 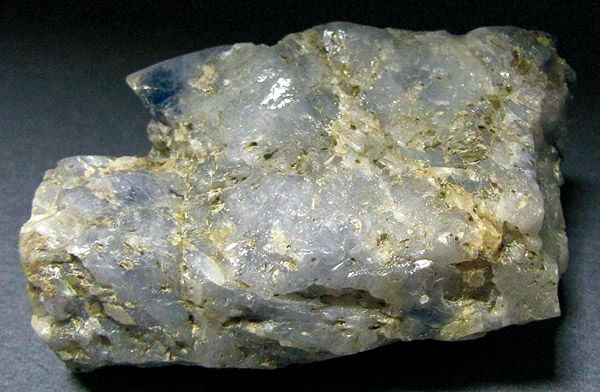 A word "emery" is not casual is the century-old synonym of corundum. In the jeweller world transparent Corundums of the intensive colouring traditionally have the own names. Red Corundums is known as rubies, dark blue and yellow - as Sapphires. It is very dear stone. High quality of Sapphires and rubies can be estimated even or dearer than carbonado diamonds. 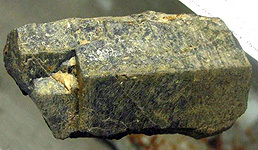 Corundum among minerals occupies the second place on hardness and abrasive ability after a carbonado diamond. Sapphires and rubies is the coloured varieties of noble corundum - occupy along with a diamond and emerald a leading place in all of classifications of jeweller stone. On brilliance, refraction and dispersion they considerably yield to the diamond, but none jewels color stones can be in color compared to dark blue Sapphire or red ruby. 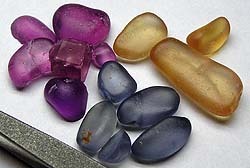 A color of noble corundums can be different: colourless (leucosapphire), red different intensity and tints (ruby), dark blue or blue different intensity and tints, rose (from the admixture of titan), green, violet, orange, yellow, brown (Sapphires). 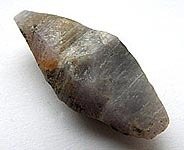 There are noble stone, possessing asterism as the Hexacorallia star or effect of cat's-eye, appearance of which is conditioned the oriented including of rutile. Corundum - mineral optically monaxonic. The term of "Corundum" takes a place, probably, from the sanskrit word of kurivinda, which was used for the name of rubies. Quite often in the names of different variants of corundums merchants and jewellers used a word "east", which must was underline quality of stone. Corundums of jeweller quality traditionally obtain on territory of Burma, Thailand, India (the state is Kashmir), Madagascar and Sri Lanka. 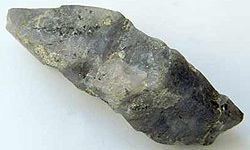 Stone are known from Kazakhstan, Canada, Norway, USA. 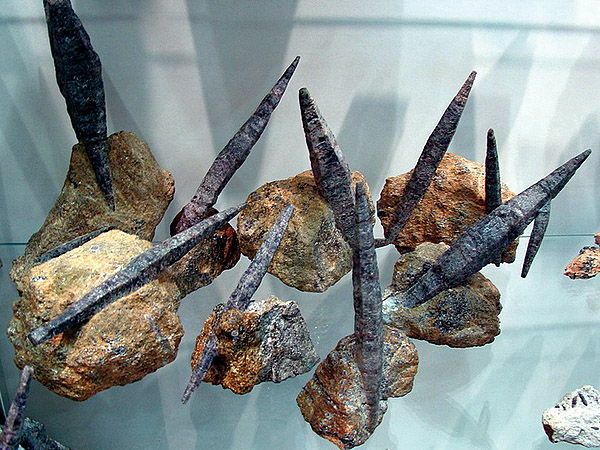 In Russia of deposit of corundums exist in Seashore, on Ural, in the Krasnoyarskom edge and Chelyabinskoy area. Corundums appear and in those areas of rocks, where a granit magma is inculcated in crystalline limestones; such beds name skarns. 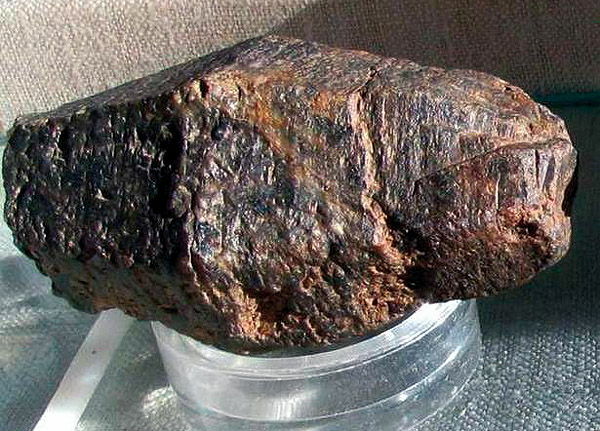 Corundums can arise up and at a "steaming-out" hot pair and gases of dark rocks of the first team, as, for example, in the areas of micatization in Arctic Ural (Russia). Corundums often arise up and in the powerful layers of crystalline rocks - gneisses - under act of large pressures and temperatures, when these layers are engaged in the grandiose processes of orogeny. Shallow, there are incommensurable more than jeweller (cure completed of quartz) rubies and Sapphires unnoticeable rockforming aluminum corundums. Corundums grow autoepitaxy are thin and wide crystals, increasing on itself. Corundums of different deposits. Ilmenskie mountain (Selyankino and other). Russia (Russian Federation, CIS). Madagascar. Photo: © A.A. Evseev. Corundum. Mochalin Ravine, of Kyshtyma, South Ural, Russia. (Russian Federation, CIS). Photo: © A.A. Evseev. Corundum. Sinarskoe mine, near Snezhinsk, South Ural. Russia (Russian Federation, CIS). Photo: © A.A. Evseev. Presently the production of synthetic corundums is put on industrial basis. Today learned to get excellent chemically clean and unturbidized Corundums is synthetic rubies and Sapphires. Unlike the natural analogues which in most cases haziness and covered cracks, and also can have the uneven colouring, synthetic stone optically ideally clean and transparent, evenly painted, far cheaper than the natural analogues and practically eternal in jeweller wares (and, unfortunately, in jeweller wares today they are rare enough steel and difficult of access). Red aluminum Corundums (rubies) in many countries considered characters of passion and perceptible love. They were honoured as stone, helping to concentrate sexual energy. Blue sky and dark blue aluminum Corundums (Sapphires), vice versa, is able to tame passions. Magic properties of stone of the noble painted corundums depends on their jeweller variety. 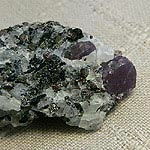 Corundum as such does not possess the wide spectrum of magic properties. It mineral, applied in industry. Greyish and colourless Corundums usually not used for magic aims, but they and their synthetic analogues are very popular in industry (on him, if so it is possible to be figuratively expressed, scientists and production workers "pray"). IMITATIONS OF SYNTHETIC CORUNDUMS (!!). It appears that now counterfeit natural natural stone not only. As after disintegration of the USSR as CIS of price on synthetic corundum raw material of steel enough high, prices on synthetic aluminum Corundums, Sapphires and rubies also appear not worth one the copeck. On a photo on the right typical standard of imitation of synthetic single-crystals of corundum (synthetic rubies and Sapphires). Enough rich colours and characteristic tumbling (form, reminding rolled pebble) or cubes. As though and alike on Corundum, and can be for a sale expensive, but raised not Vernele by a method. In industrial scales artificial corundum materials get as a result of melting of bauxit in electric furnace with a repairer (by ferrous sawdusts). They are also used as abrasives; the methods of powder-like metallurgy from them are make chisels for tooling of metals at a high temperature. They do not fit for cutting as insertion. SYNTHETIC RUBIES And Sapphires (Corundums). Today at the market of jewels the great number of synthetic rubies and Sapphires, reared the different methods of synthesis is presented, for each of which the distinctive features are known. 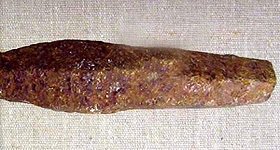 Practically all of red stone in jeweller wares are synthetic corundums. 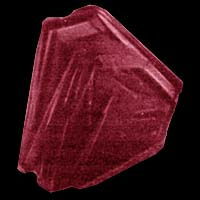 Internal defects have most natural rubies. So, most synthetic rubies and Sapphires, meetings at the market, are got the method of Vernele, the distinguishing features of these stone it is been curvilinear zonality (which is not observed in natural stone), sometimes there are inclusion of blubs in them. But by sight synthetic Corundums look blamelessly. Moreover, exactly synthetic Corundums are cheap enough and practically eternal red and darkly-rose insertions in jeweller wares. It is a very beautiful synthetic semiprecious stone. Unfortunately, today red Corundums became very rare in jeweller shops, and synthetic Sapphires to find it is practically impossible in general. If for someone the synthetic rubies of the soviet cutting (stone of production of the USSR) were yet saved in jeweller wares - take it easy from them to be delivered. you have a standard of the wonderful machine cutting of stone and rare standard of valuable synthetic stone. Now them simply so already in a jeweller shop will not purchase. Today prices on cut synthetic Corundums, rubies and Sapphires for jeweller wares in oftentimes exceed prices on traditional colourless and painted fianites (synthetic cube zircons), although they and notedly cheaper than prices on the natural jewels of group of aluminum corundums. Boules & semiboules. 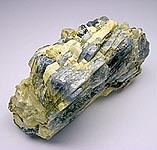 Single-crystals of synthetic corundum are modification of oxide of aluminum, in which can be isomorphous substituted for small part of ions of aluminum the ions of group of ferrous iron or ions of copper. 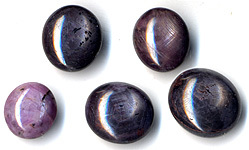 Growing of synthetic single-crystals of wide colour (rubies, Sapphires, topazs, Amethysts and other) gamut is carried out the method of Verneylya. Ruby and Sapphire - minerals which though differentiate by appearance possess an identical crystalline structure and properties, except for the presence of insignificant concentrations of elements-admixtures, givings them characteristic colors. Ruby and Sapphire consist mainly of oxide of aluminum of Al2O3, the crystalline form of which mineralogists name a corundum. 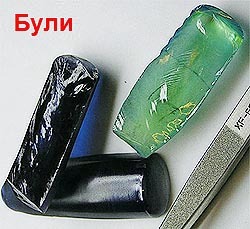 Crystals, reared on the method of Verneylya, are known as Buli, on visible in compound with that originally they had the rounded form. This term entered Godenom and used Verneylem became ordinary for specialists on growing of crystals in spite of the fact that now crystals have a cylindricity. Today rear cylindrical Boules a diameter 20 mm and by the height of cylinder 50-70 mm and semiboules (half of cylinder, cut along, with bottom base of 10 х 20 mm). Single-crystal transparent Boules and bars of artificial corundum (synthetic rubies and Sapphires) get melting and recrystallization of alumina (oxide of aluminum) in oxygen-hydrogen flame. Buli can be additionally painted: by the admixtures of ions of Cr (chrome, to 2%) - in red, V (vanadium) - in greyish-green by the daily light and violet at lamplight, Mn (manganese) - in yellowish-pink, rose, Ni (nickel) - in yellow, gold, Ti (titan) - in rose-violet colors. At cutting of synthetic aluminum corundums under the different names (Sapphire, ruby, topaz, Alexandrite, Amethyst) they are used on jeweller business. The closeness of synthetic corundums makes 4 g/cubic sm, hardness Mohs is approximately 9 for the painted corundums and 9,25 for optically clean Sapphires (hardness Mohs of diamond is 10 on the scale of Mohs). 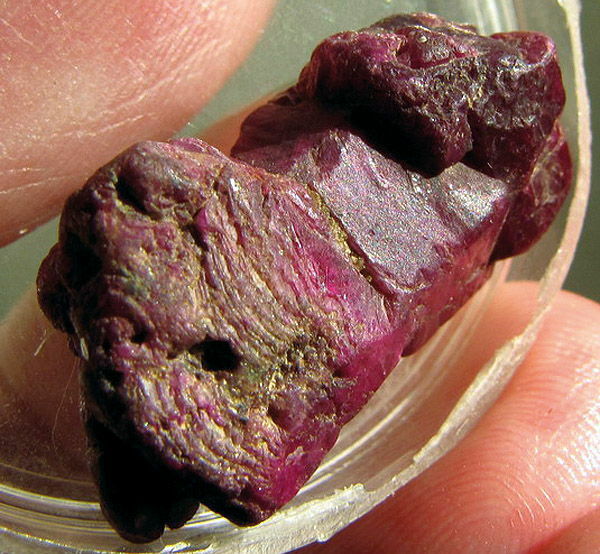 Rubies and Sapphires, reared the gumboil and hydrothermal methods of synthesis, are the most difficult objects for diagnostics (they look enough like natural). For gumboil rubies and Sapphires characteristic inclusion gumboil and materials of growth crystal chamber (crucible) - platinum, gold and copper, and the distinctive feature of hydrothermal corundums are wrong microstructures of growth. Synthesizing rubies on the method of gumboil or by a hydrothermal method, it is possible to get the jeweller stone of very high quality, look like natural. Using this technology, get the crystals of ruby measuring approximately 40х40х12 mm. 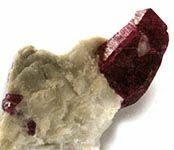 A inoculating seed crystal was suspended on a wire in middle part of solution, and in an underbody placed shallow wreckages and crumb of ruby, which served as feed-in material for a new growing crystal. Actually, a ruby turns out by recrystallization, but not synthesis. Tendency of crystals of ruby raise from high temperature solutions as flat plates (breadthways), but not to acquire isometric forms, creates serious difficulties at the use them as precious material. Relation of speeds of growth of crystal inplane plate and in a thickness can exceed 100:1.